Is your toilet bowl leaking? Does it move when you sit or lean on it? Needless to say, the ideal toilet doesn’t behave like this. Luckily, it can be a fairly easy fix. Knowing how to carry out this simple bit of home maintenance will prove very handy to the home or business owner, especially if you manage rental properties! The wax ring and toilet flange might be damaged, so you should start with these. Give the toilet closet flange bolts a tighten, these the bolts connecting the toilet to the floor. If you’re lucky, this might solve the problem. If not, we’re going to give you a step by step guide with everything you need to know about repairing a loose or leaking toilet. You can think of your toilet as being the digestive system of your home or business. Its health is essential to the overall function and well-being of your premises. If the toilet starts to act up, other problems in your plumbing system can emerge. You could even be faced with a sewerage backup, where your septic system is simply overwhelmed to the point where sewerage material flows back up and out of the toilet. If you’ve got the following supplies handy, you’re ready to tackle most problems associated with your toilet. Beware, the list is long! But this is for the sake of posterity, it’s better to have too many supplies than too few. Spilling water from your toilet can cause damage to surrounding walls and floor, as well as creating a potential health hazard. The bioflora in waste water are particularly good at creating mould blooms. The first thing to do whenever you’re doing work on your toilet is to switch off the shutoff valve which controls the water flow into the tank. You’ll need to do this so that nothing spills out when you turn the tank on its side to scrape off the wax ring. Once you’ve switch off the valve, flush the toilet to get rid of as much water from the tank as possible. Use a sponge or cloths to get the rest of the water as possible. Now it’s time to grab the plunger. Plunge the toilet bowl a few times to push any remaining water down into the sewer drain. Once all the water is out of the way, you can remove the caps from the flange nuts and bolts and unscrew them. Use a bucket or rag to catch any drips as you unscrew the water supply line from the tank. Now your toilet is ready to be removed. When removing it, it’s a good idea to have some old towels ready to sit the toilet on. This will protect your floor from any water. Ideally, a standard toilet flange should sit on the top of your bathroom floor, or be raised about 2 centimeters above it. If the flange sits lower than the surface of the floor, the wax ring will compress and lower the effectiveness of the seal. A good way to start is by placing two strips of tape on either side of the closet bolts. Use a pen to mark the position of the bolts on the tape. This is the best way to mark where the bolts go so you don’t forget once you’ve removed them. Now you can inspect the flange for damage and remove its wax ring. Remove the plastic flange as well, and use a knife and paper towels to scrape out any wax residue. Place a 2 centimeter bead of silicone caulk on the waste pipe and flange. Line the slots of the flange spacer with those of the flange in the floor. Push the flange spacer firmly into the caulk and make sure that it’s secure. If the spacer is not sitting level with the floor or 2 centimeters above it, place another flange spacer on top to make up the space. Now you can place your extra long closet flange bolts into the slots of the flange. Use the marks you made on the tape to make sure that you put them in the right spot, then tighten the nuts. Place your new wax ring on top of the closet flange spacer, and your finished with this part of the operation! Use a knife to scrape any remaining wax-ring residue off the bottom of your toilet. Once the base is clean, align the holes in the base with the marks you made on the tape earlier. Lower the toilet bowl slowly, threading the closet bolts through the holes in the base. Now that the toilet is sitting securely on top of the wax ring, push down firmly on both sides of the bowl until the ring compresses. Now your toilet should be resting evenly on the floor. Replace the tank, making sure that it is even with the wall before replacing the nuts and washers for the closet flange bolts. Tighten the nuts until the bowl doesn’t move when you shake it. IMPORTANT: don’t over tighten these nuts! If they are too tight, you could crack the bowl. If the closet flange bolts are too long to fit the caps on, you’ll need to use a hack saw or dremel to trim them. Once the caps are ready to be placed on the bolts, place a little bit of putty inside the caps to make sure they stick. Though it’s definitely a bit of work, by following this guide you should be able to replace your toilet yourself and repair any leaks from the wax ring which might be damaging your floors or walls. We hope you’ve found this information helpful, and please contact us on fix leaking toilet bowl. 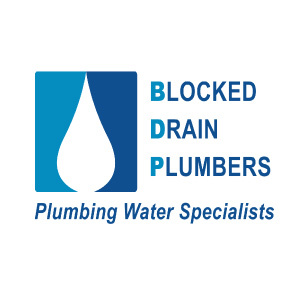 If you need professional help to fix leaking toilet bowl, contact us on 0412 738 874 or leave a message. Or else if the matter is a blocked toilet and you require a blocked toilet plumber in Melbourne, don’t hesitate to contact today.